Are you moving from Charleston, SC, to somewhere across the country? If so, it’s important to be well versed in the art of the long-distance move. After all, moving hundreds (or even thousands) of miles just isn’t the same as moving across the street…you can’t exactly go back for your child’s forgotten teddy bear. So what’s the best way to move across the country? Our trusted cross-country moving company happens to have 30 years of experience in the area, and we’re here to help! Hire Trusted Long-Distance Movers: Chances are, you’ll need professional long-distance movers for a stress-free relocation. Get quotes from three different companies, and make sure to read online reviews, to ensure your company of choice has what it takes to go the distance. Choose Your Services: When acquiring quotes from different long-distance movers, ask about any and all services you might need, from vehicle shipping to packing services. Downsize: The fewer items you have to move, the more money you’ll save. Get rid of any unused or unwanted items — this will make your relocation feel even more like a fresh start. It’s also a good idea to price out whether it’s cheaper to relocate your furniture or buy new pieces upon arrival. Make a Packing Timeline: If you haven’t hired full-service movers, you’re going to have to use some elbow grease. Make a timeline that ensures you’ll have everything finished for the big day. For example, you could tackle one room each week, leaving any essentials until the end. 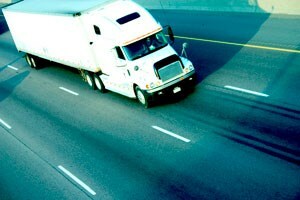 Insure Your Belongings: Make sure you ask your cross-country moving company about insurance. Long-distance moves are much more complex than their local counterparts, and it’s important to make sure your items are covered. A quality company should have a range of options to meet your needs and budget. Want to know more about moving cross country? Call the certified full-service movers at Azalea Moving! We’ve been serving families in Charleston for over 30 years, and have the vehicles, equipment, and experience to ensure a stress-free relocation for you and your family. To create a custom moving package that meets your needs and budget, call us today to schedule a free, no-obligation in-home estimate!